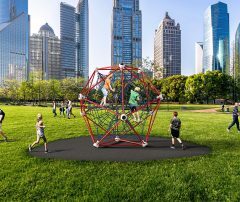 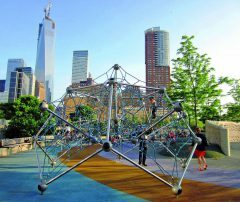 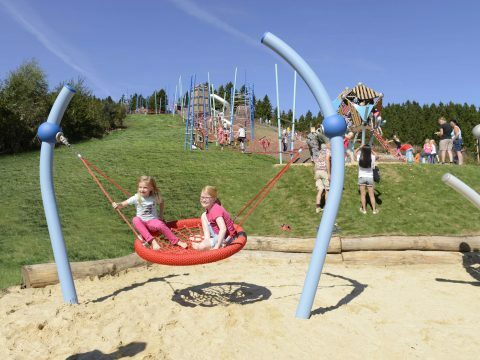 Play and climb­ing equip­ment for tod­dlers. 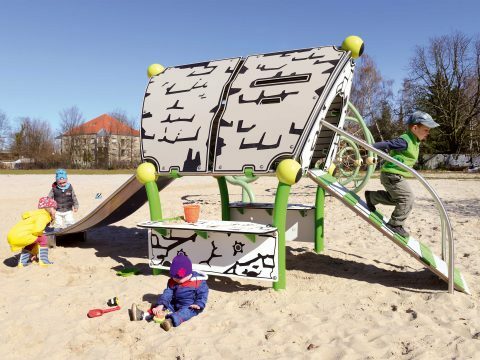 Play Equip­ment for the Small­est Ones! 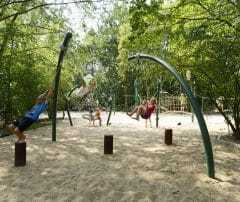 The ear­ly dex­ter­i­ty and psy­cho-motor devel­op­ment is impor­tant for the rest of life. 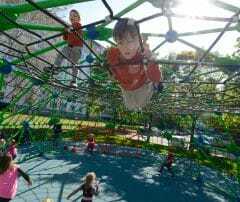 It is impor­tant to sup­port tod­dlers and young kids in this area. 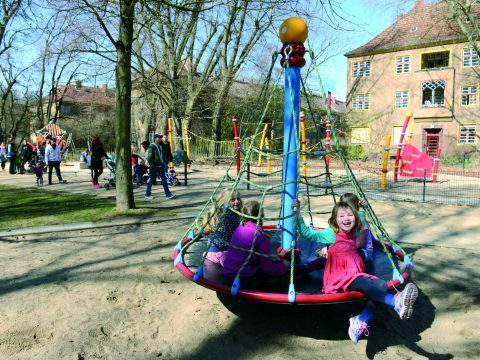 Since the legal right to child care was estab­lished, the demand for play equip­ment that is suit­able for young-chil­dren, espe­cial­ly out­doors, has been grow­ing via the new con­struc­tion and expan­sion of child care facil­i­ties. 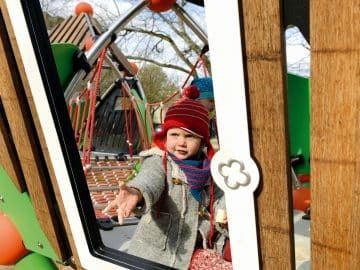 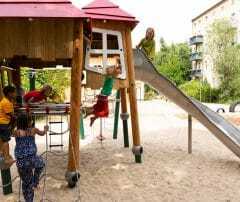 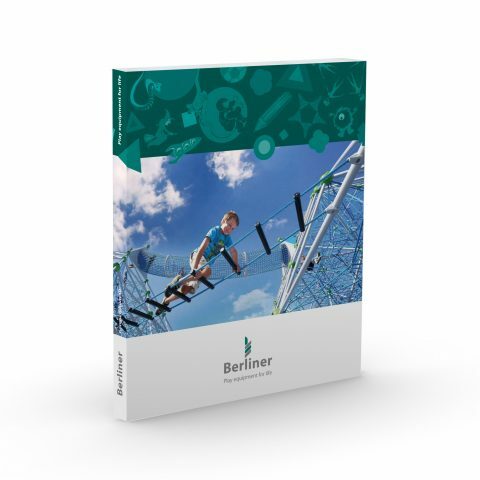 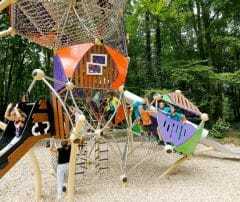 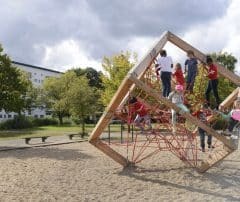 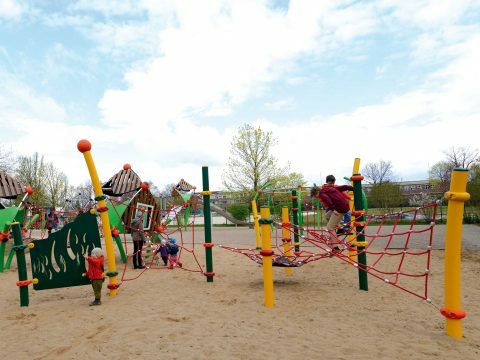 The Berlin­er Seil­fab­rik has numer­ous play equip­ment in its port­fo­lio that are explic­it­ly ori­ent­ed on the needs of chil­dren in the child-care age group. 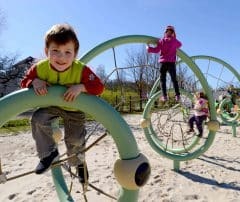 These devices pro­vide kids between the age of one to six a safe and com­pre­hen­sive play­ing offers, in which they can train their social and motor skills. 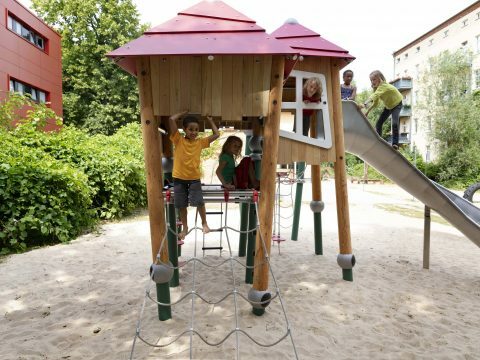 Playhouses offer the ideal space for role-playing games. 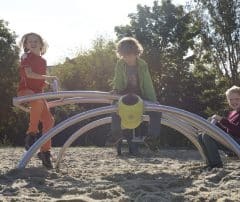 In a playful way, language and social skills are promoted. 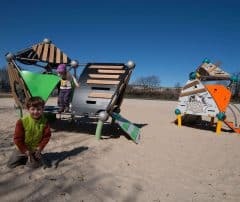 Connected with sensory play elements, the receptivity and creativity is trained. 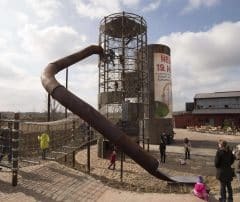 The slides are built in a way that small kids can reach them without outside help. 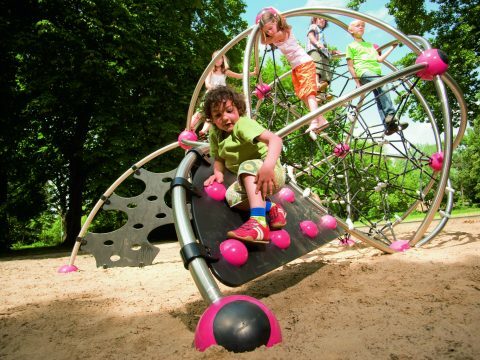 Sliding promotes spatial perception and improves the sense of balance and coordination. 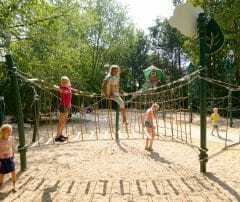 Climbing in a spatial net offers the chance gather initial experience in climbing in a three-dimensional space. 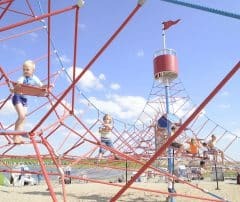 This promotes spatial powers of imagination. 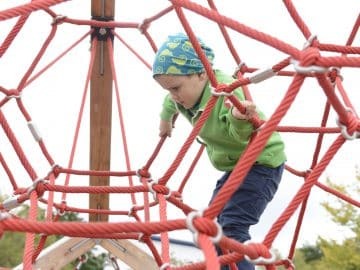 Nets, ladders and steps offer different difficulty levels of climbing. 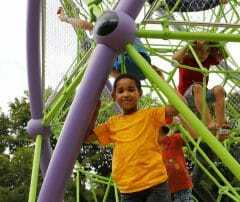 Merry-go-rounds with a low entry height allow even small children to play on their own. 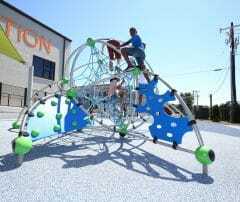 Turning with the help of play equipment generates a sensory stimulation that has a positive effect on balance and “sensing oneself”, i.e. 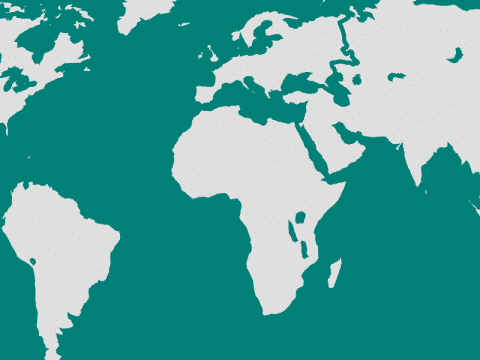 the own body awareness. 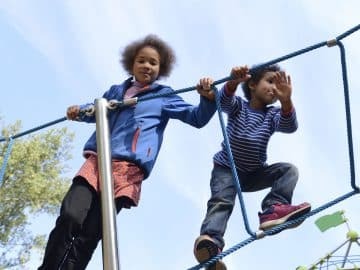 Balancing on ropes, wobbly walking or even crawling on rubber bridges or focused walks across a close-meshed net trains the sense of balance and hence prepares kids for the next developmental phases. 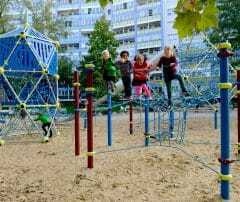 Be it standing, walking, jumping or riding a bike. 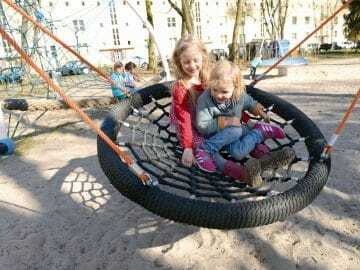 Different swing seats ensure that kids get to swing no matter their current level of development. 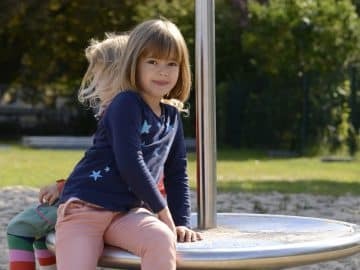 Swinging develops the physical awareness and feeling especially well and simultaneously strengthens and increases the motor skills.